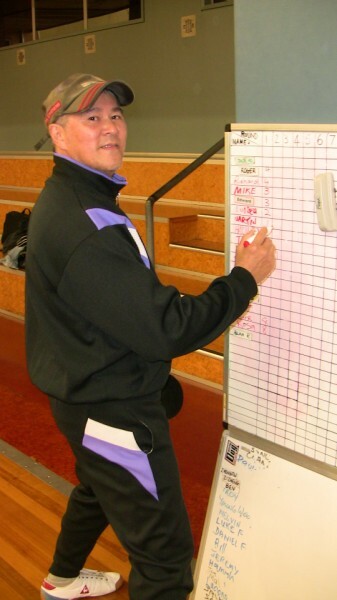 Malcolm Wong flew up to Tauranga Thursday afternoon (10 September) to run an umpiring Course that night. There were 5 attendees. Simon Gallear (Regional) and Max Henderson (Junior) were successful in qualifying as umpires. Two other juniors passed the written junior exam, of which one has passed the oral exam. 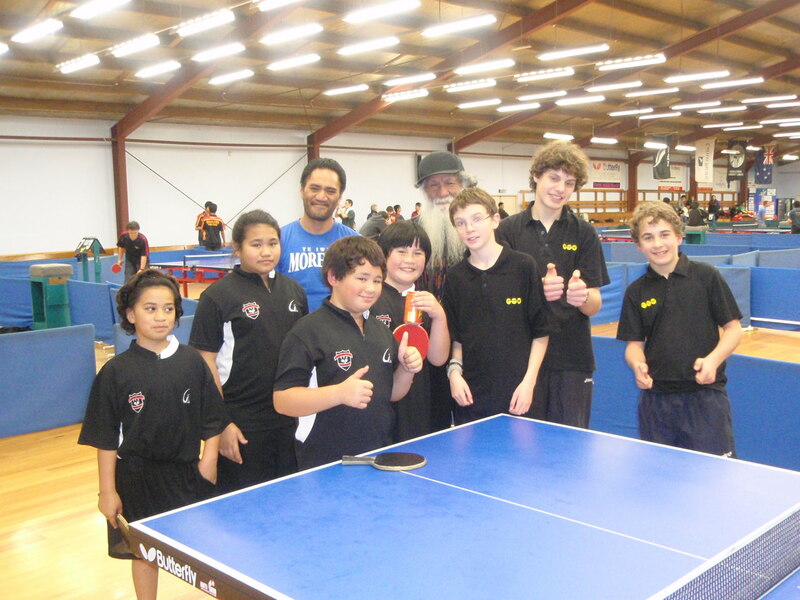 On Friday Malcolm umpired matches in the New Zealand Community Trust Aims Games, including the Girl’s Team Final and the Boy’s Doubles Final. 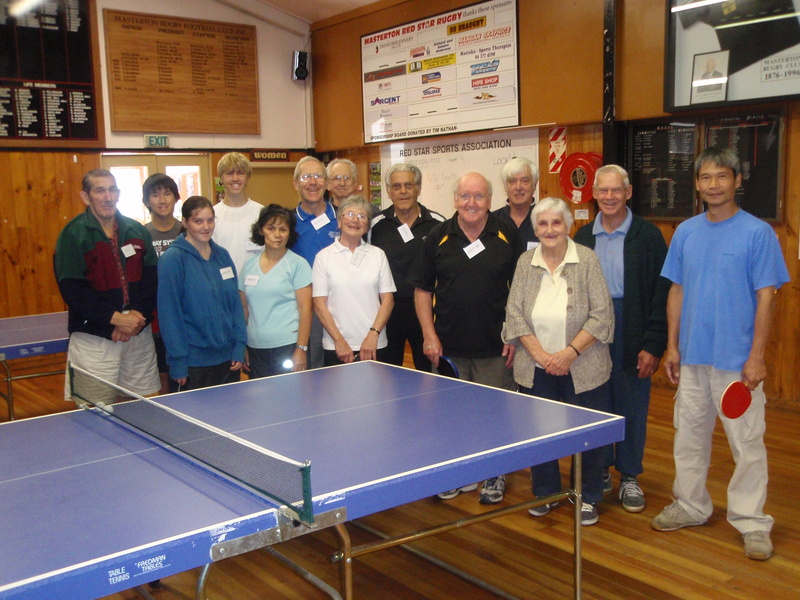 In the weekend he was one of the Referees for the Bay of Plenty Open and Veterans Tournament. He won the D Grade Doubles with Xavier Lea. Simon Gallear (New Regional Umpire), Malcolm Wong (Umpire Course Trainer) and Max Henderson (New Junior Umpire). Junior Girl’s Team Winners – Tauranga Intermediate. 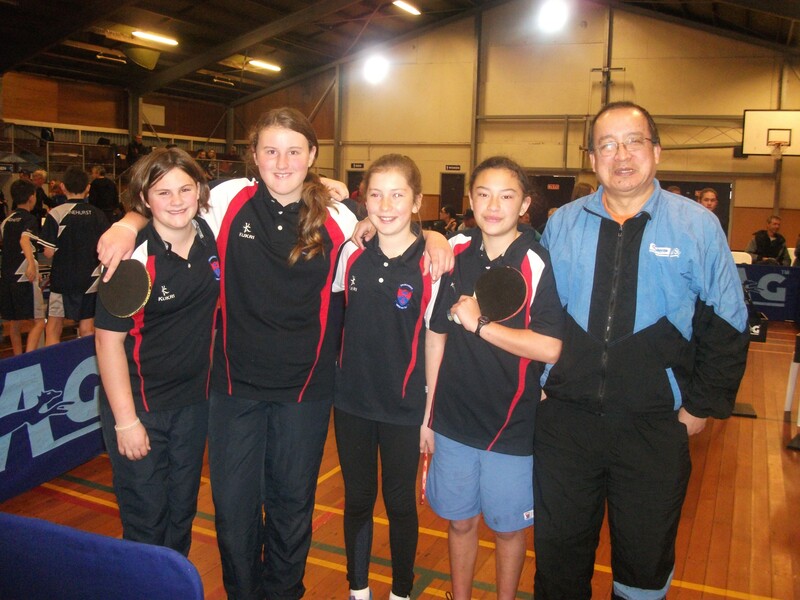 Jasmine Young, Abby Nyhoff, Paige Edelston, Jordan-Lee Munroe-Grennell and Malcolm Wong (Umpire). Aims Game Boy’s Doubles Finalist. 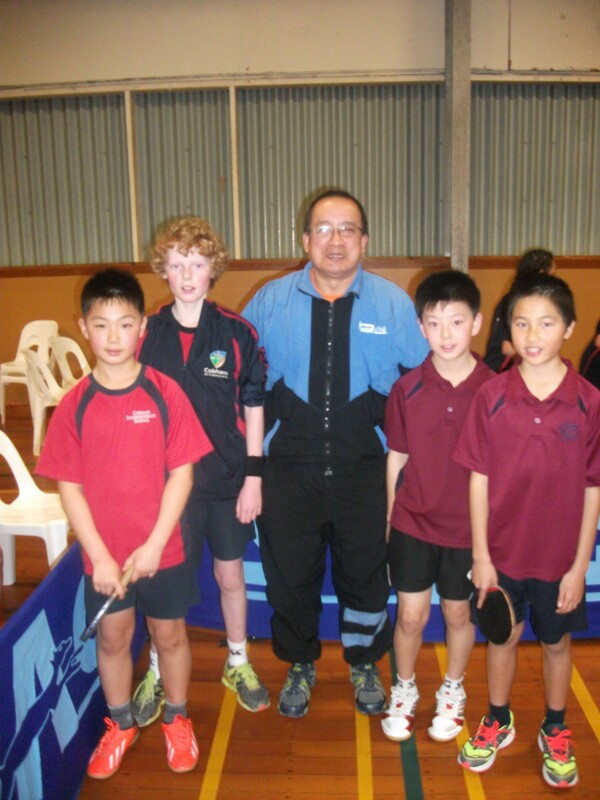 Malcolm Wong (Umpire), Gold – Nathan Xu, Thomas Liang (Wairau Intermediate). This tournament is being held on Sunday August 22. Age groups are U12, U14 and U17. Please refer to the Junior Development Entry Aug 2010 for more information. 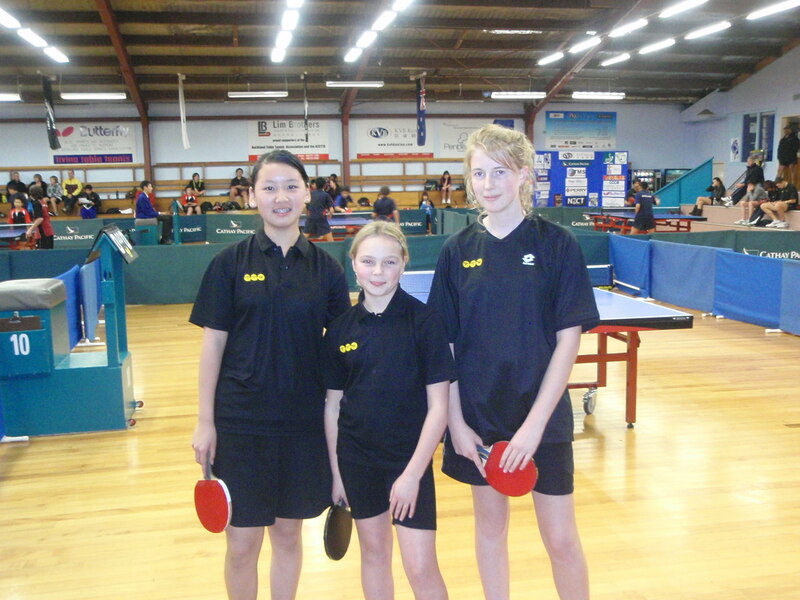 July 8, day two at the New Zealand National Junior Championships saw TTW teams play a total of 13 team matches. The under 15 girls team continued to impress with a 5-0 win over Counties Manukau ‘B’ and a narrow 2-3 loss to Counties Manukau ‘A’ . In the U/18 Boys team event the TTW team had a 5-0 win over Canturbury, next we played Tahiti who defeated us 3-2 despite Thom Nguyn leading the way for Wellington with a clear 3-0 win over Oceania top 5 U/18 ranked Ocean Belrose and a second singles win. Later in the day the U/18 team went down 3-2 to the visiting Victorian team and again Thom Nguyen performed well with a 12-10 win in the fifth over Edward Anderson-Higginson and a win over Brodee Cookson. The U/15 boys showed a lot of determination throughout the day recording a 3-2 win over the Auckland ‘B’ team with Conal Warrender winning two singles and Matthew Sheppard clinching the match with a 3-2 win over Eugene Yao. The big match was against the North Harbour team with the winner likely to progress through to the final against Auckland ‘A’. Conal Warrender started well with a 3-2 win, Matthew Sheppard then lost a close match 1-3 before teaming up with Caleb Magan to play a blinder in the doubles. Wellington won the doubles to lead 2-1. The next two matches produced some great table tennis but unfortunately the contest ended in a 3-2 win for the North Harbour team. Wellington made a good start in the Under 15 girl’s ‘A’ grade competition with a 5-0 win against North Harbour ‘B’ . 11 year old Angela Chapmen recorded her first victory at National level pairing with Maddy Nash in a 3-0 doubles win and then defeated Iris Liu 3-0 to make it two wins. 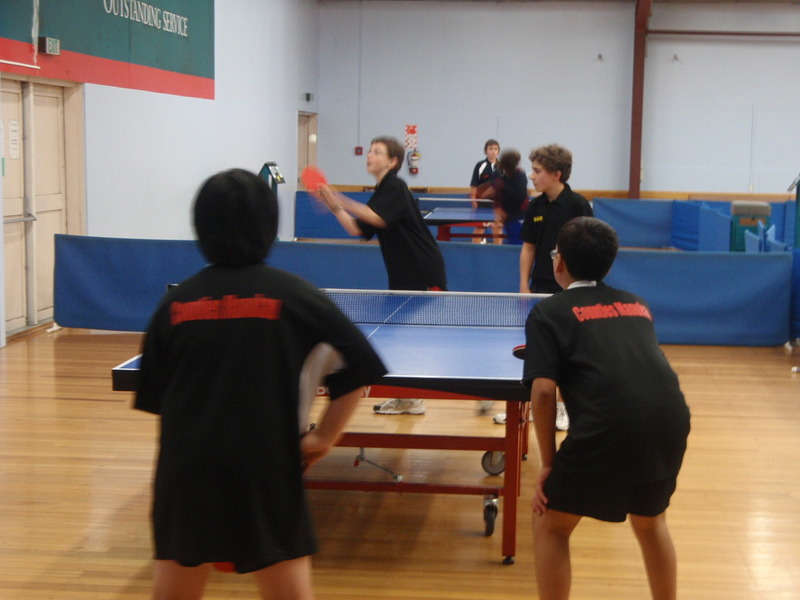 In the new U/13 team events Wellingon ‘B’ were narrowly beaten by Waitemata ‘A’ 3-2. Mats Olsthoorn performed well teaming up with Ben Westenra to win a doubles and also won his singles match. 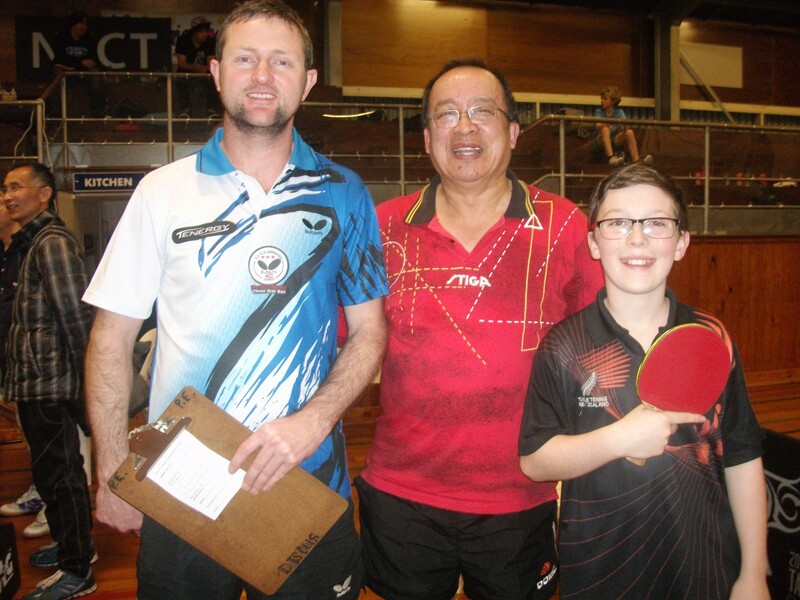 In the U/18 Boys team event Wellingto played Auckland ‘A’ with Thom Nguyen recording a 3-1 victory over Z Cheng. Thom also had a very exciting 5 set match with Lingnan Kong , where he led 2 sets to nil but unfoutunately lost 3-2. 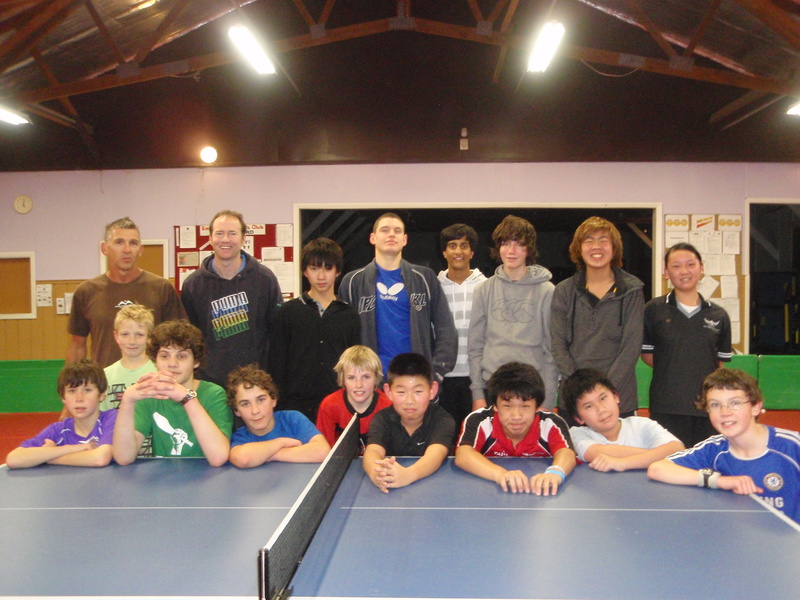 Delano Lam lost 3-0 against Oliver Scarlett and Jeffrey Chin lost 3-1 to Oliver Scarlett. Auckland also won the doubles and Wellington lost 4-1. To be held at Empire Stadium on Sunday, June 27. 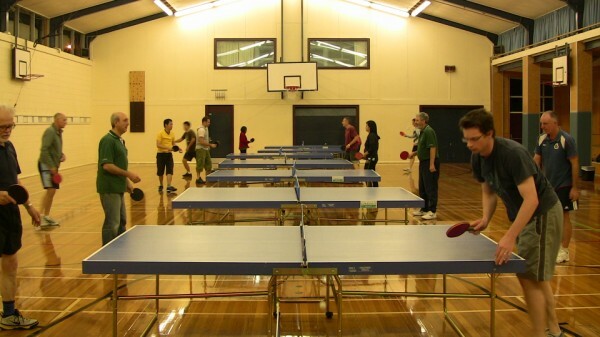 The Waterloo Junior Club is based out of the Waterloo School Hall in Waterloo. 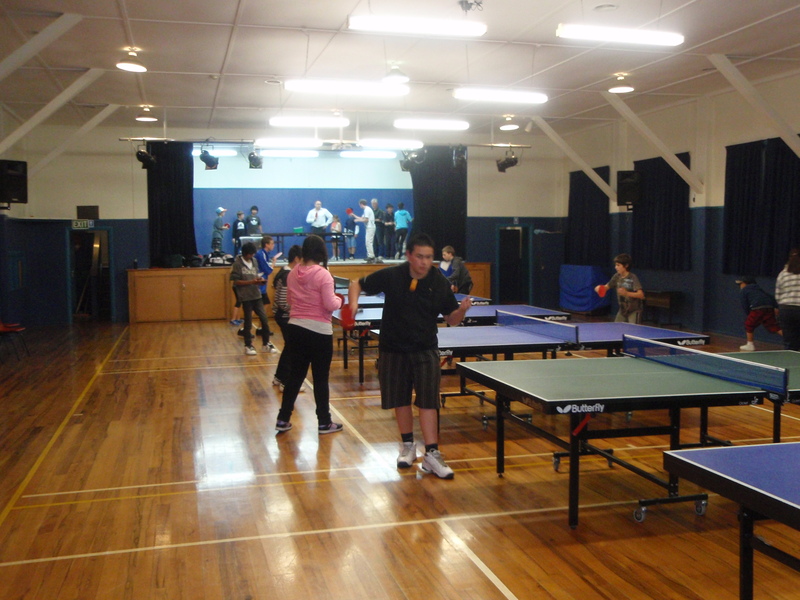 The junior club night is every friday from 7.00-9.30pm. 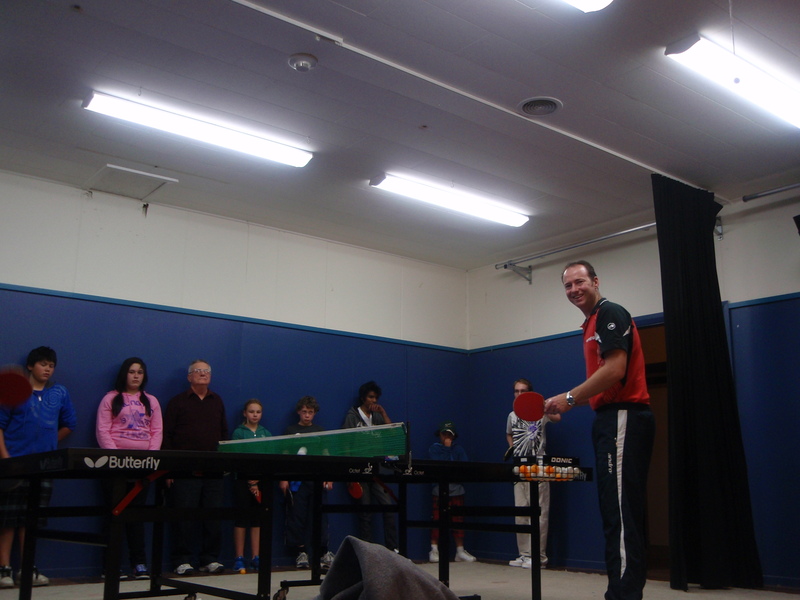 On Friday May 7 TTW coach Andrew Hubbard made a visit to the club. Waterloo club coach Alan Costley commented that the club has been running well with full attendances. He is being assisted in the running of the club by Brian Pearson and Premier player Steve Chapmen. Andrew commented on the improvement seen in many promising young players including Sean Hanson, Rueben Reid and Jessica Pearson. Andrew also took note of the talented ‘Chapmen’ sisters Samantha and Angela. Congratulations Matthew Sheppard and Caleb Magan (both Waterloo club). 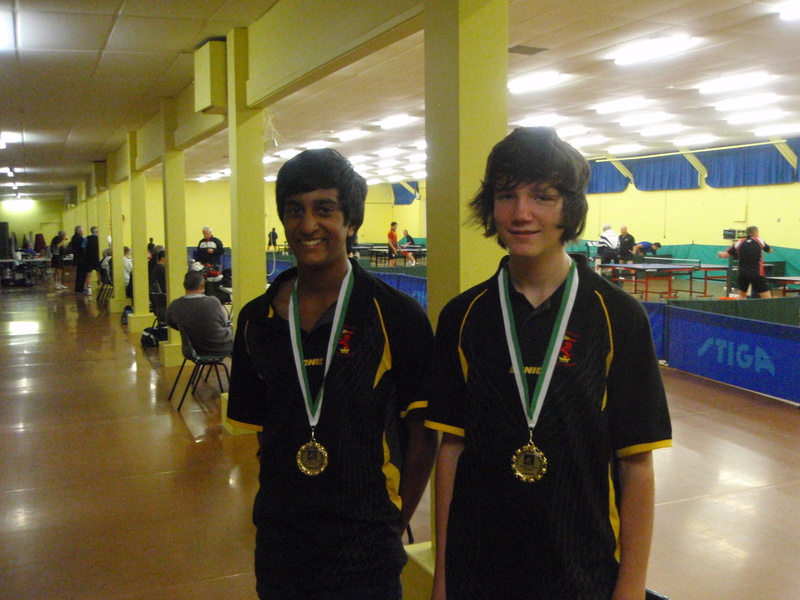 Winners of the 2010 North Island Under 15 Boys doubles title. 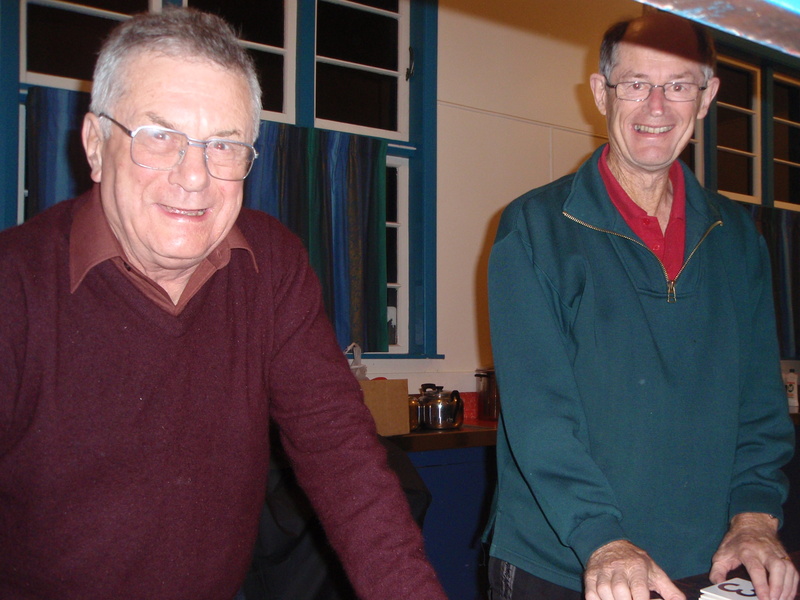 Wairarapa Visit – Red Star Veteran club active and encouraging youth. TTW Coach Andrew Hubbard commented that he enjoyed the visit, saw a lot of improvement, needed to ‘slow’ a few players down during the ‘crossover’ footwork drills and is looking forward to a return visit.